At Webb Family Dentistry, we like to offer patients options so they may choose what is best for them. Our Chesapeake, Virginia community patients have options when it comes to resolving their periodontal disease issues. We offer both non-surgical and surgical periodontal therapy treatments. Periodontal treatment depends upon the type and severity of the disease. Periodontal disease, also known as gum disease, is a leading cause of tooth loss. Plaque build-up on your teeth contain bacteria. This bacteria can causes tissue inflammation, which destroys the bone that supports your teeth. As your tooth and gums fill with bacteria, plaque, and calculus, the surrounding tissue becomes irritated. When this irritation remains in the pocket space, it can damage your gums. Eventually, it can damage the bone supporting your teeth, causing tooth loss. 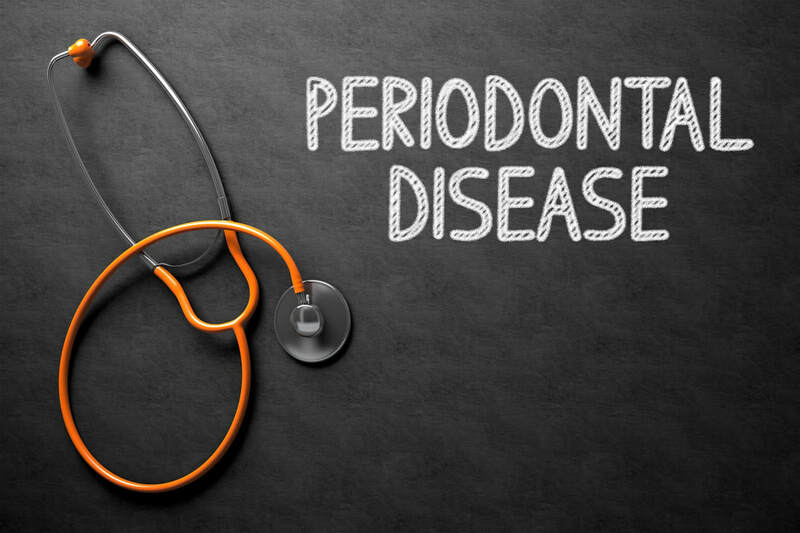 Call us today if you think you may be experiencing periodontal disease. 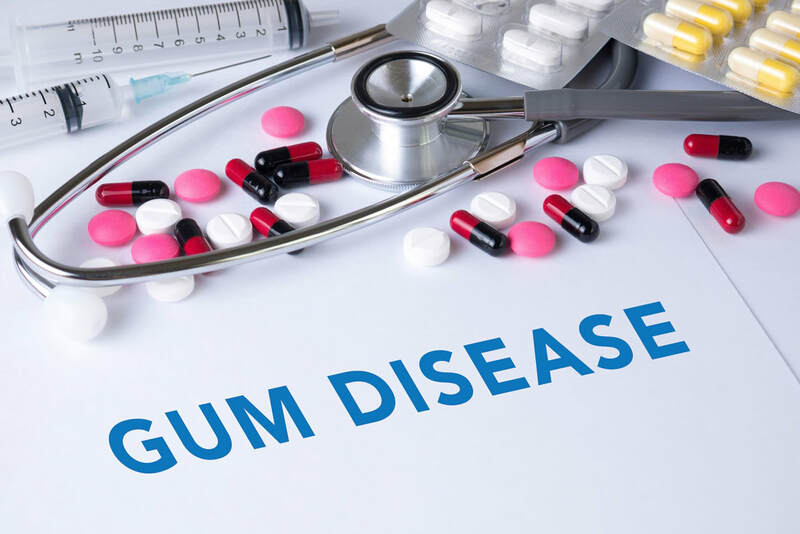 If the disease is caught within the early stages of gingivitis with no damage ​occurring yet, then one or two cleanings may be all it takes to remedy the situation. Scaling is a process where we remove the bacteria from the crown and root surfaces of your tooth. Root planning is a process where we smooth the root surfaces of your teeth. This is performed in rough areas created by calculus. If the disease has been left untreated for a long period of time, a patient may require anesthesia for the scaling and root planning process. After cleaning, the disease slows down. It is then up to you to take proper care of your teeth at home for a successful treatment. ​If the disease has been left untreated and has already advanced to later stages, you will need what is called scaling and root planning. This is a deep cleaning process. This process will help to heal gum tissue. If your pockets do not heal after scaling and root planning then surgical periodontal therapy may be required. This thorough process will reduce your pocket depths, making it easier to clean your teeth. This is required because any remaining bacteria may be to deep to remove. That bacteria can destroy your bone, leading to tooth loss. Periodontal therapy saves your teeth and prevents tooth loss. When non-surgical periodontal therapy does not work or the disease has reached later stages, surgical periodontal therapy is the solution to periodontal (gum) disease. There are multiple surgeries that may be used, but the general process is to gain access to the roots of your teeth to remove any bacteria and tartar. ​When periodontal disease is left untreated, massive colonization of bacteria occurs in your gum pockets. Eventually, this leads to tooth loss. Surgical methods have been proven to eliminate this bacteria and reduce inflammation, thus saving teeth. Reducing the spread of bacteria to prevent infection. Halt bone loss to prevent inflammation that causes the destruction of bone tissue. Allow for home care remedies to work effectively. Enhance your smile by preventing tooth loss, browning of the gums, and rotting teeth. Do I Need Non-Surgical Or Surgical Periodontal Therapy? Before we recommend a treatment option, we perform a thorough visual check and examination of your digital x-ray to assess the condition of your gums, teeth, and the underlying bone. Periodontal therapy rids your mouth of the bone killing bacteria, reduces inflammation, and saves your teeth. After the healing period, there will be a big reduction in pocket depth and a large improvement in the overall condition of both your gums and teeth. ​Schedule an appointment with Dr. Webb to learn how our team will benefit you. If you have dental anxiety, let us know and we'll do everything we can to keep you calm and relaxed throughout the process. With over 30 years of experience, you can trust Dr. Webb for great results!